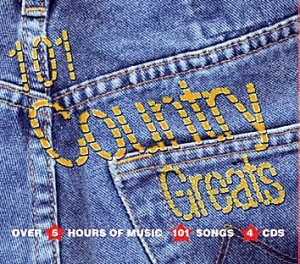 101 classic Country hits performed by some of the genre?s premier stars, brought together in this exclusive 4CD box set. The first in the Fabulous Box Set series. Artists include: Faron Young, George Jones, Tanya Tucker, Tammy Wynette, Merle Haggard, Patsy Cline, Charlie Rich, Dolly Parton, Kenny Rogers, Tom T. Hall, Johnny Tillotson, Bobby Bare to name but a few?. 17 Drink It Down Lady Rex Allen Jr.